So many dental issues can lead to pain, but sometimes, your toothache is the outcome of a dental abscess, caused mainly by the accumulation of thick fluid called pus which contains dead tissue, blood cells and bacteria. The most common cause of an abscess in your mouth is a bacterial infection. It could be on your gums or anywhere in your mouth. It is important to learn how to get rid of an abscess in your mouth as early as possible to avoid further complications. There are natural remedies, but if they don’t seem to work, you should see your dentist to find an appropriate treatment. If left untreated, the condition may become worse over time. 1. Periapical Abscess: It is the most common type of abscess and usually affects the lower layer of your tooth – that is, it forms under your tooth. 2. Periodontal Abscess: In this type of abscess, you will notice issues with your gums and supporting bone. Poor Oral Hygiene: If you don’t brush and floss your teeth regularly, bacteria will build up and you will have higher risks of teeth cavity and gum disease. Diet High in Sweet Food: If you eat a lot of sweets, chocolates, and starchy foods, such as white bread, crisps, biscuits, and pretzels, you’re more likely to develop a bacterial infection that will lead to tooth decay and abscess. Weakened Immune System: Your immune system may not be functioning properly due to some underlying conditions, such as diabetes. Weakened immune system leads to higher possibility of infection. It is definitely a good idea to see your dentist, but you can also learn how to get rid of an abscess by yourself. These home remedies will help alleviate pain and even treat abscess to some extent. Salt will always help reduce pain in a short time. 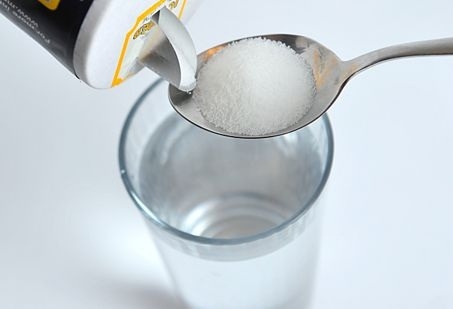 Simply mix some salt into lukewarm water and gargle for a few minutes. You may experience some pain when you start, but the pain will subside as you keep gargling. This ancient remedy is the best choice when you want to know how to get rid of tooth infection. 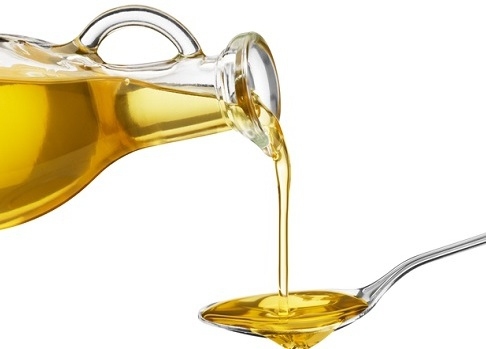 You simply need to place a tablespoon of oil in your mouth and swish it thoroughly. This will pull fungus, bacteria and other organisms out of your teeth, gums and throat. The remedy works because the oil contains lipids with which bacteria can easily mix. Clove oil is yet another effective remedy to alleviate pain caused by dental abscess. It can kill bacteria and clear infection. You simply need to use clove oil to brush your teeth. Be gentler when you’re brushing the affected area. You can also apply clove oil directly on your abscess and massage carefully for pain relief. Garlic has antibacterial properties and can kill the infection with ease. Simply crush a raw garlic clove and get the juice. Apply it directly on the affected area to relieve infection. For more home remedies, you can have a look here. When natural remedies don’t seem to work and your pain is becoming worse, you need to consider going for a medical treatment. If the soft tissue on your abscessed tooth has swollen, your dentist may start by draining it first. Your tooth will be opened up and the nerve that is sending pain sensations to your brain will be removed. The infected pulp inside the canal will also be cleaned out. Sometimes, your dentist cannot save your abscessed tooth through root canal treatment. They will have to extract it and prescribe some medicines. You don’t usually need antibiotics if your infection isn’t spreading to areas other than your abscessed tooth. It is also important to use antibiotics if your immune system isn’t functioning properly. After a medical treatment, it is important to see your dentist to ensure that everything is in perfect shape. They will recommend dental X-rays after six months to confirm that the healthy tissue and bone are filling the affected area. You may have to visit a specialist (oral surgeon or endodontist) if your bone fails to fill in after the treatment.